Pepper is one of the oldest known spices, and was important enough to early medicine to be included in the Herbals of Dioscorides and Galen. The uses of black pepper go far beyond the kitchen where pepper stimulates the taste buds. Black pepper is stimulating to the digestive system, expectorates coughs, and helps to clear the lungs of congestion. Black pepper is added to turmeric and many other herbal formulations as an activator. 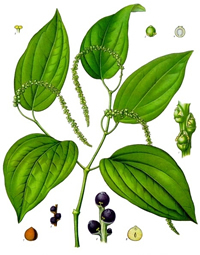 Long pepper, Piper longum is valued in Ayurvedic medicine and foods for enhancing digestion and metabolism. Preparation Methods & Dosage : You can add a pinch of black pepper, or a few peppercorns to herbal teas, or to herbal formulas to increase the warmth of the blend. 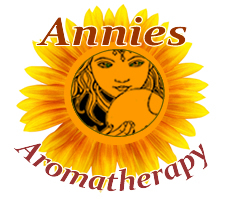 Use black pepper essential oil in warming massage oils. One of the best ways to take black pepper in medicinal doses is in the traditional Trikatu formula where it is mixed with equal parts of dried ginger and long pepper then taken with a spoonful of honey. In the Kitchen: Pepper stimulates the taste buds and helps to promote digestion. Whole peppercorns are used in pickling, marinades and stews, ground pepper adds it flavor in savory dishes. Keeping peppercorns whole, and grinding just when required keeps the flavor. Ayurvedic Medicine Black pepper is an anti-kapha herb that burns up ama (toxins). Ayurvedic medicines use tiny amounts of black pepper to make the other herbs in the formula more available to the body. Black peppers are cultivated in malabar, Java, Sumatra, and Penang. Peppercorns are the fruit of Piper nigrum, an evergreen climbing vine. 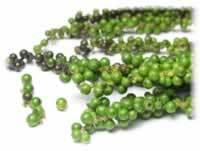 Black, white, and green peppercorns all come form the same plant, but they are harvested at different times and handled in different ways. Black peppercorns are the sun-dried red berries, which are picked before they are ripe. Pepper, like cinnamon and cloves is one of the oldest known spices and was being used in India over 4,000 years ago. Pepper was used as a currency during the siege of Rome in AD 408 and "peppercorn rents", now meaning very low rents, were commonly paid to landlords. It is said that Attila demanded 3,000 pounds of pepper in ransom for the city of Rome. 44. "Piperine, a major constituent of black pepper, inhibits human P-glycoprotein and CYP3A4." (2002) Pubmed NIH PMID: 12130727: piperine, a major component of black pepper, inhibits drug-metabolizing enzymes in rodents and increases plasma concentrations of several drugs, including P-glycoprotein substrates (phenytoin and rifampin) in humans.